Nevertheless, the idea of the Marist project as a “tree of many branches” was never completely abandoned by the founders of the project and is made up of the Marist Laity, the Marist Brothers of the Schools, Marist Sisters, the Missionary Sisters of the Society of Mary, the Priests and Brothers of the Society of Mary. It was the belief of the first Marists that Mary gave her name to the Society so that it would “do her work”. This work was for all people to experience the mercy of God. Lay Marist spirituality and its associated mission, is a lay way for people to relate with God, to themselves and others. To be a lay Marist is a way of life rather than placing emphasis on particular religious practices. Marist focus on Mary is not so much as an icon of devotion, but rather on her, the person and her life. To be a Marist is to strive to think, judge and act as Mary would; to allow Mary to shape your life. Marist Lay Groups, which generally operate inside existing Church structures, such as schools and parishes, meet to support and encourage those lay people who want to live their lives as Marists. These groups meet regularly for prayer, reflection and discussion to deepen their understanding on what it means to live a Marist life as a lay person today. If you would like more information or want to join or start a Marist Lay Group, please get in contact. 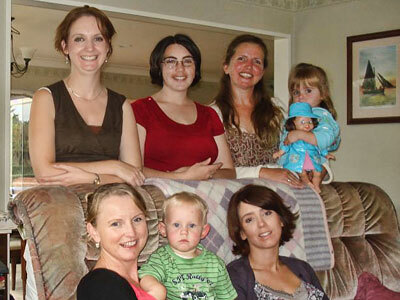 The Marian Mothers is a wide network of over seventy groups of women who meet for discussion, prayer and encouragement in their role as Christian mothers. To assist them in their work as Christian mothers, and as part of their regular meeting schedule, each month, groups receive an audio tape and discussion and prayers sheet. Pregnancy is a joy, there can also be moments of anxiety. Whether ones mood be anxiousness or joyous, it is good to pray and the prayer network of Our Lady of Good Hope is specifically for expectant mothers. Enrolling these mothers-to-be and their babies into the prayer network of Our Lady of Good Hope, places them at the forefront of the prayers of the Marist Laity network and in particular those of the Marist Centre Community in Wellington. The New Zealand Marist Laity chaplain, is Fr Chris Skinner sm, and he is assisted by Mrs Bev McDonald and Mrs Jane Langham. As well as preparing the monthly material for both the Marist Laity and Marian Mothers, they also visit groups on request to provide prayer days or retreat weekends. To keep well over one hundred lay Marist groups in touch with the Marist Laity office publishes Laylines, a newsletter digest of Marist news. You are also welcome to subscribe to the Society of Mary’s regular publication, Marist News, which is published when there’s news at hand.